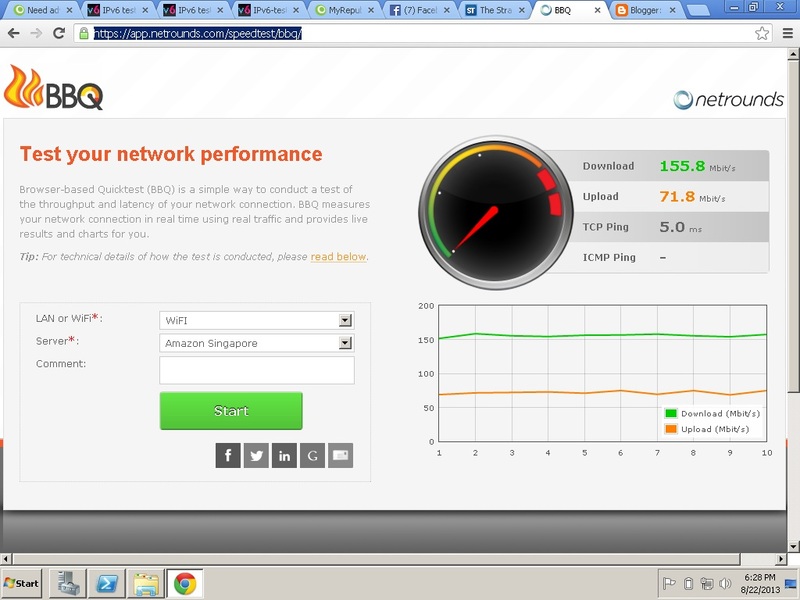 Yes.. Speedtest.Net is not really good now since I found out that many providers purposely CLAMP DOWN on the SPEED TEST SERVER CONNECTIONS. 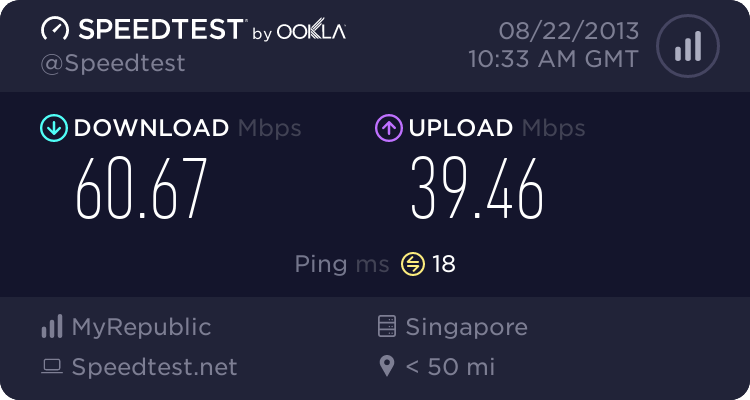 Singtel played punk and restrict OUTSIDE NETWORK CONNECTIONS to 2 pipes per session. Mainly because they are not allowing Gigabit connections and multiple simultaneous connections to the port at the end server side.